The life of gifted teacher Dr Christine Durham was turned upside down after she sustained a serious brain injury in a horrific car accident. Christine was determined to return to teaching and employed her experience of brain injury to inspire her students to think creatively. Her pioneering approach as presented in the first edition of the groundbreaking book Chasing Ideas led her to gain an international reputation as a professional learning presenter. 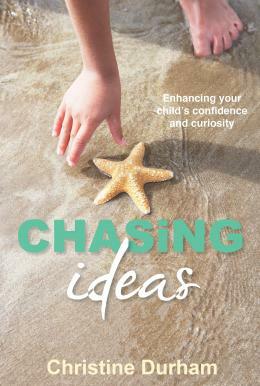 In this updated edition of Chasing Ideas, Christine Durham shows how to help children aged 3 to 15 be brighter, more imaginative thinkers. She encourages parents and teachers to discover the joys of discussing ideas with children and provides ways they can show them how to explore ideas, think, judge, make decisions and communicate more effectively – all important life skills to take into adulthood. open up issues and explore ideas by using the ‘Handy Thinking’ tools – practical thinking skills that are fun and easy to remember – and to let their imaginations fly! Chasing Ideas is also available as an ebook. Click here for more information.